This past Friday Mr. Imbelli and I traveled to Upstate New York and Massachusetts to visit alums at Berkshire and Millbrook. Calder R., '10 is graduating Berkshire this year and heading off to Union College where he'll continue with hockey. Calder's still in the goal impressing all those who watch him play. 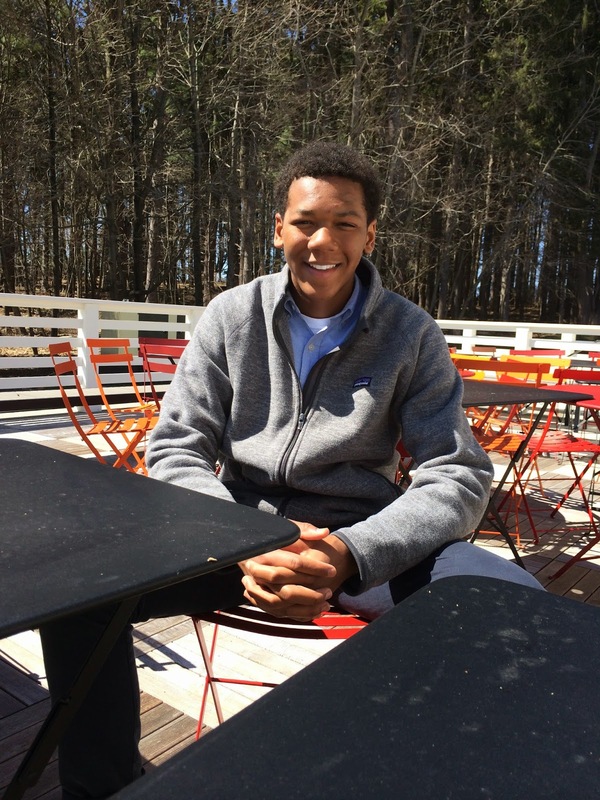 At Millbrook we caught up with Tau L., '13 and Zane A., '11 both thriving. Tau's into basketball and Lax, while Zane is busy narrowing his athletic focus to baseball. On Thursday, April 17 I had the wonderful opportunity to visit alums at Columbia Prep all the way over on the West Side. Philip C., '10 is graduating this year and heading off to Bucknell, Ian M., '11, is a Junior, and Cameron D., Andrew H., Loomis Q., and Henry V are all Sophomores. The boys are all working hard and doing well. 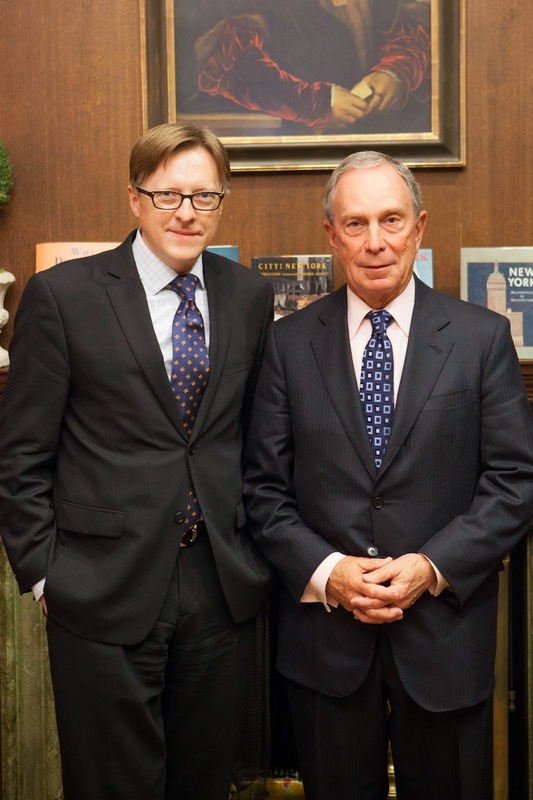 We enjoyed a wide ranging conversation about Saint David's and Columbia. It was great to catch up. 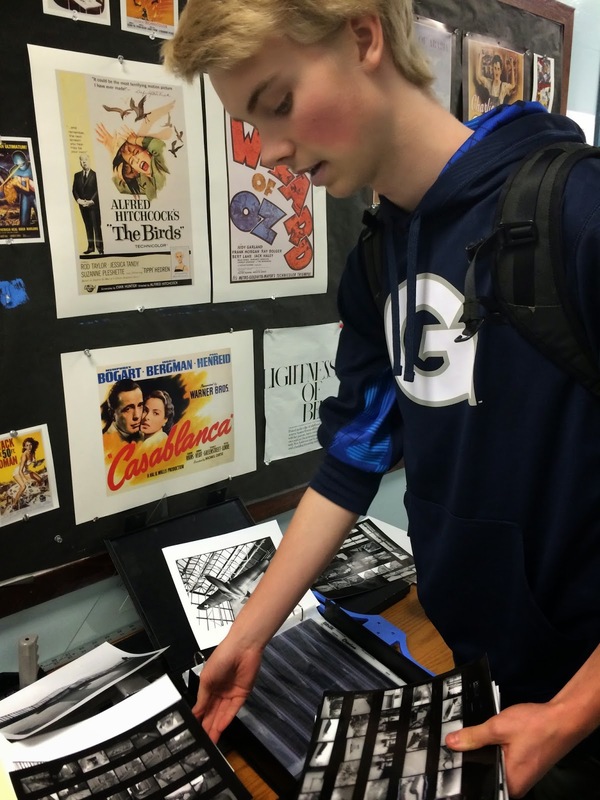 Cameron gave a quick tour of the school which included a stop at the photography studio to view some of his work. Black and white is his medium--impressive! Dateline: Saturday, April 26th. 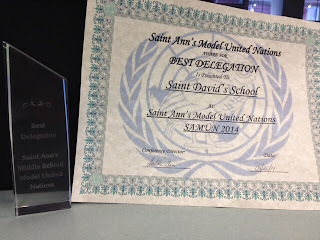 At St. Ann's in Brooklyn today, Saint David's Debate Team/Model UN competed in a multi-school competition, under the leadership of Mr. Shapiro. 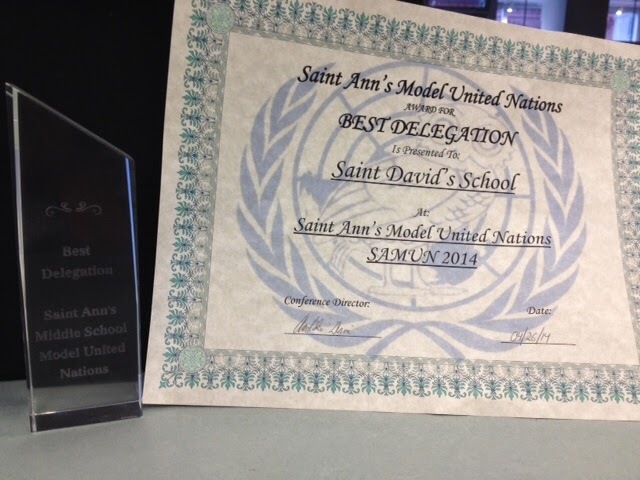 Saint David's boys took home the award for best delegation! An awesome achievement given that it's our first ever competition. 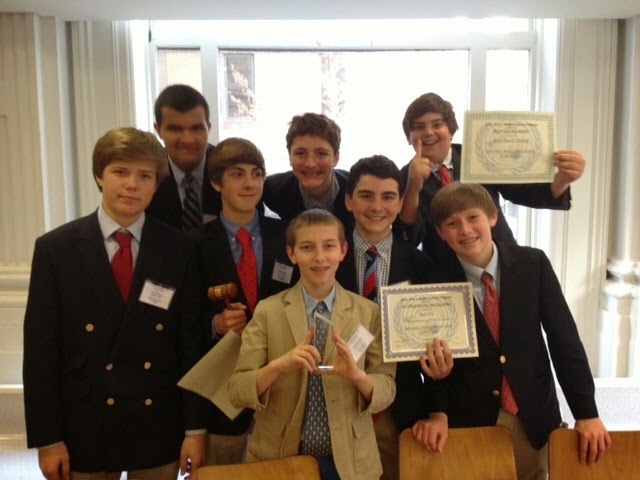 Saint David's also won some individual honors: Ryan K. won outstanding delegate (1st place) and Jack D. brought home a best delegate (2nd place) award. Mr. Shapiro reports that it was great to see the boys step up to the plate, especially after their original apprehension when they realized that the other delegations were a little more experienced. They handled each breaking crisis with cool-headed diplomacy (JFK, played by Ethan K., was even kidnapped!). They are currently enjoying their triumph at a delegate dance. The boys have already begun planning how they can become back-to-back champs next year. 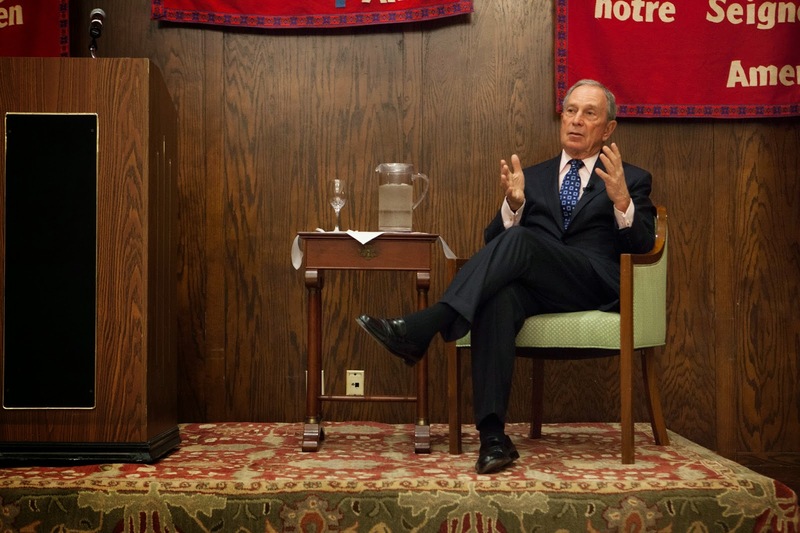 Tuesday evening, we were fortunate to welcome Michael R. Bloomberg, the 108th Mayor of the City of New York, world-renowned business leader, public health advocate, and dedicated philanthropist, as the featured speaker for our signature Alumni Parents Council Lectures event. Taking the podium, the Mayor first encouraged the eighth graders present to always appreciate and be kind to others and to learn to work as part of a team. He then engaged in a lively conversation with the boys, who sat in a semi-circle around him at the front of a standing-room-only Hyman Hall. Bearing in mind our school-wide theme this year of Critical Analysis, the boys had prepared several probing questions for Mayor Bloomberg that ranged from his thoughts about climate change (he stressed the need to address the effects that are measurable right now, such as pollution from coal-fired plants), to income inequality (he believes in equal opportunity, and providing access to a good education with challenging standards) to the most important qualities a leader should possess (honesty, a positive attitude, and team building). The final question posed asked why no one in his company has a private office, to which he replied: "I believe that my job is to get people to work together; walls prevent this." 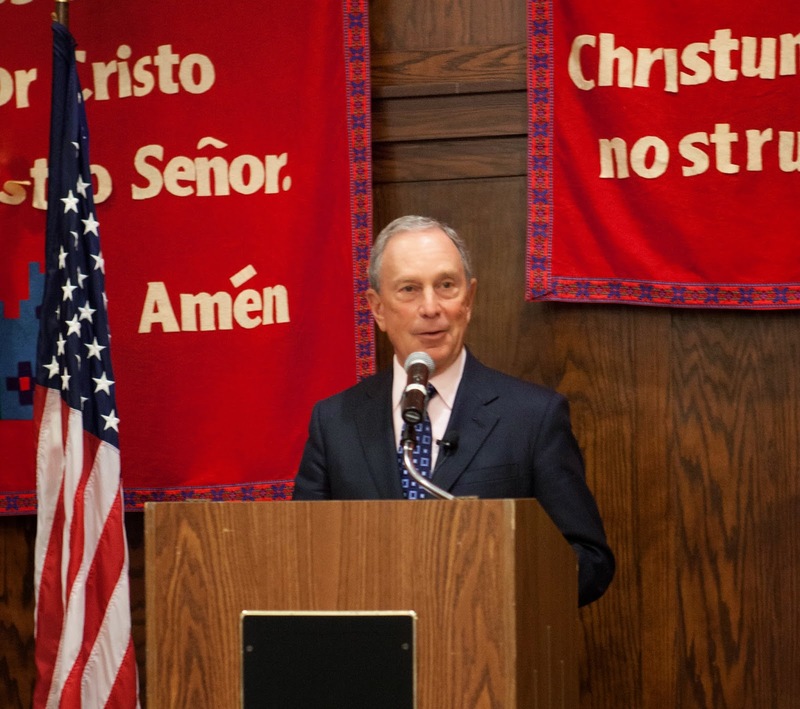 Mayor Bloomberg emphasized the importance of a leader being someone accessible, who encourages the sharing of ideas among members of his or her team. 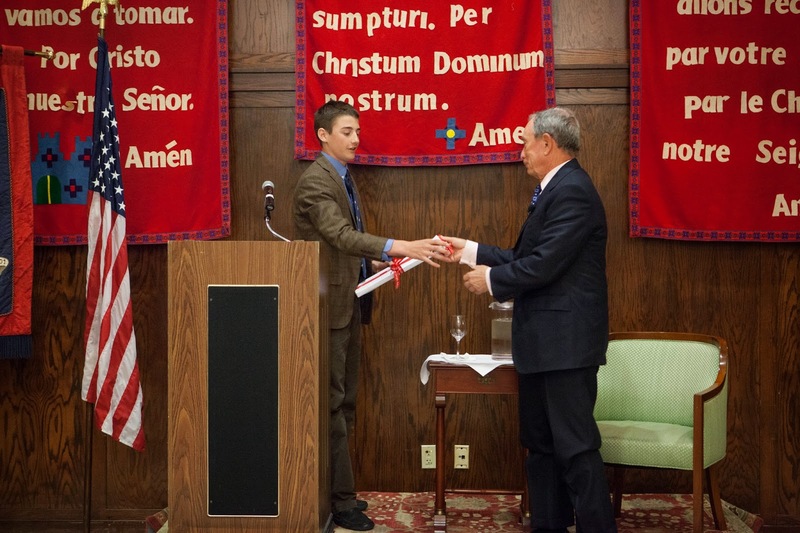 At the conclusion of the event, Student Council President Frank R. thanked the Mayor and noted that he learned from this session, "the importance of leadership, how it enables you to create a path in life; that we should always strive to be better people to benefit ourselves and those around us." The evening was spirited, and we all thoroughly enjoyed Mayor Bloomberg's candid remarks, quick wit, and insightful responses. It was an event to remember. This night would not have been possible without the efforts of current parent Cathy Blaney-Petralia and Alumni Parents Council Co-Chairs Dorothy Faux and Linda Foran. 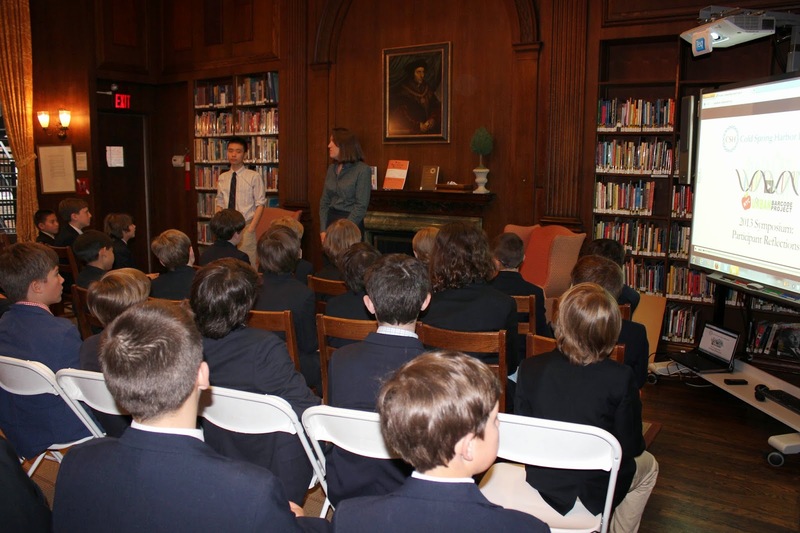 The Annual Lecture Series provides our eighth grade boys an opportunity to explore the school's mission and themes from the perspective of a notable person or leader. 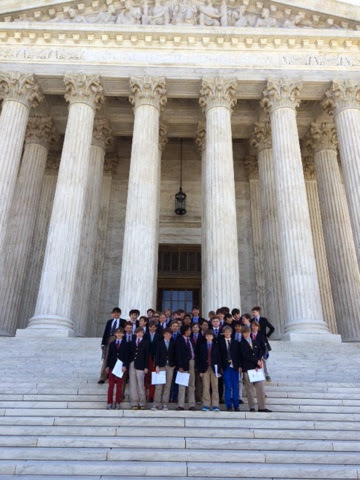 Our sixth graders and several of their teachers are now in Washington, D.C. During their three-day stay in our nation’s capital, they will visit the national monuments, Congress, the Library of Congress, The Supreme Court, the Smithsonian National Museum of Air and Space, and Frederick Douglass House. 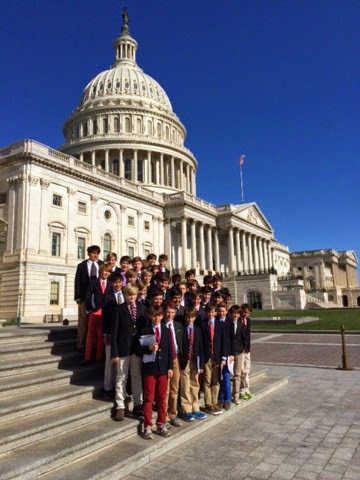 This is an important opportunity for our boys to see their government in action, and a culminating experience of their comprehensive study of the founding of the Republic and its system of government. The boys will engage in discussions and exchange ideas with lawmakers. Their trip also involves extensive journaling of the various sites they visit and they will write poems based on their close observations and impressions. These poems will be published this summer in our Upper School literary journal. 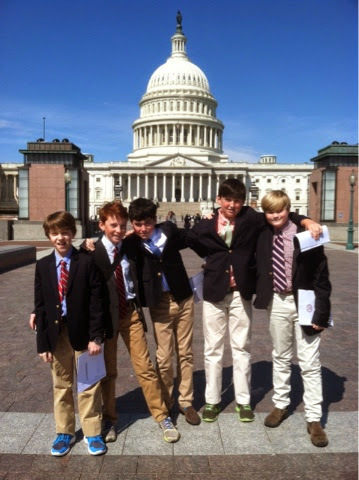 Much of what the boys see will spark questions and debate, deepening their understanding and hopefully, inspiring them to always analyze and think critically about their government. How Do You Drop an Egg Without Cracking It? 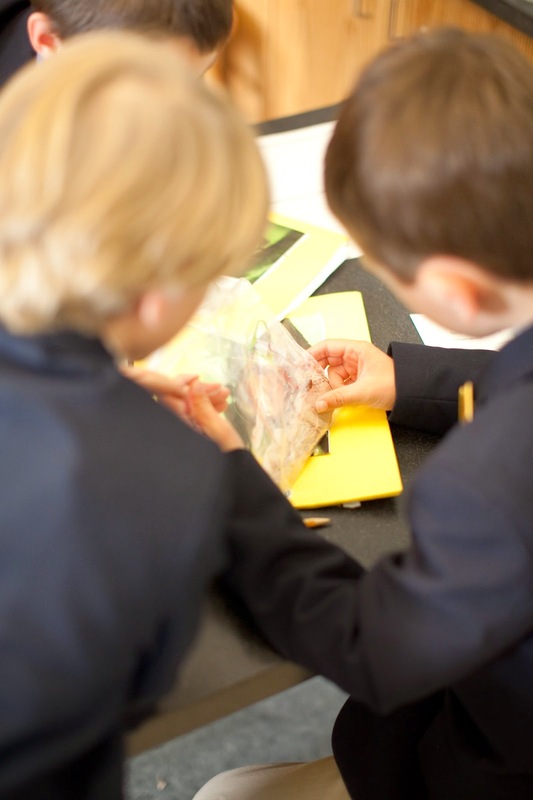 Saint David’s Upper and Lower School After School STEAM classes recently tested egg safety capsules. Using materials such as cardboard, cotton, and straws, the boys designed and built different forms and types of padding and parachutes. Their mission? 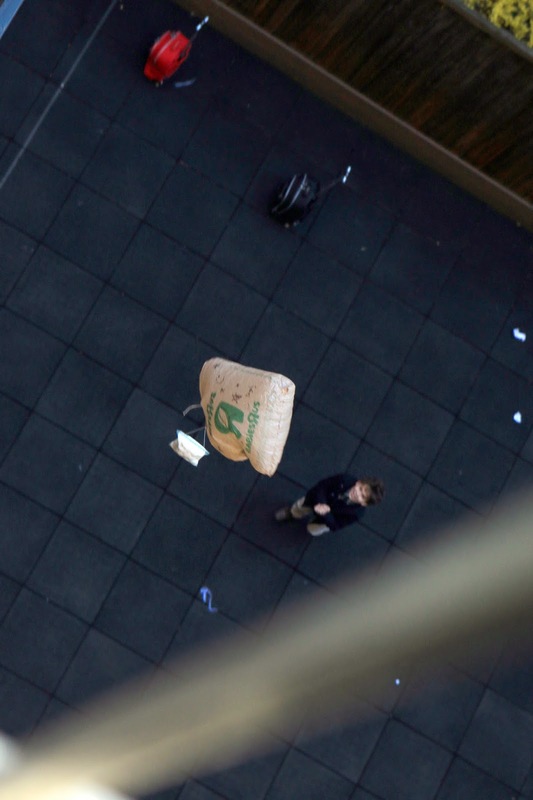 To drop eggs from the fifth floor classrooms into our backyard without breaking the eggs. For inspiration, the Upper School class had studied NASA's landing protocol for the Mars Rovers. 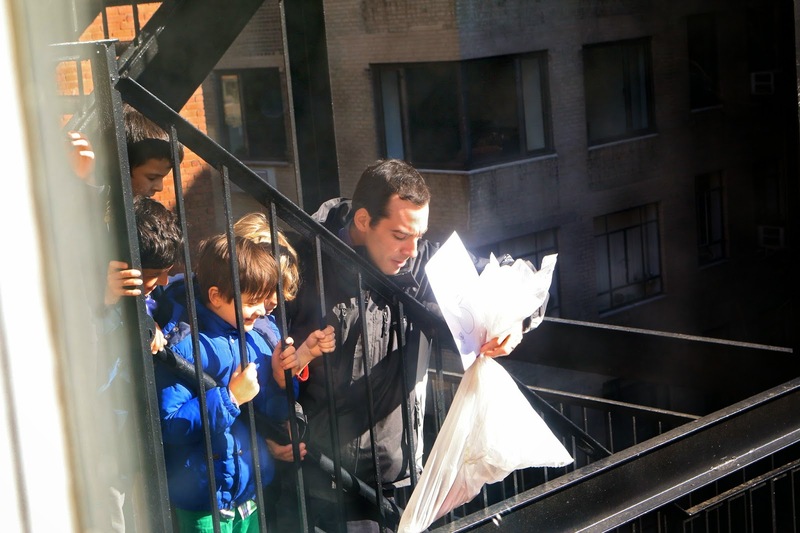 This led them to hypothesize that a parachute would be an important element for success; an idea that was borne out through some initial testing. 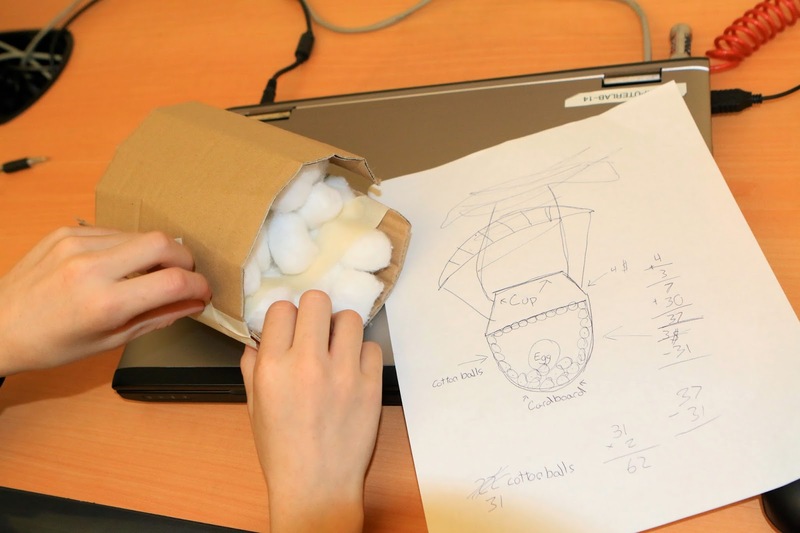 The boys struggled with designing, building and comparing a variety of different prototype egg protection capsules, and they discussed and debated which they thought would pass the ultimate test and why. In the Upper School, each team was given a strict “$100" budget for the purchase of supplies and materials. They had to decide, as a team, how to organize and allocate their budget. This after school class is an example of inquiry based learning we are infusing throughout our curriculum. This learning is cooperative, actively engaging, uses open-ended questions to explore and solve a problem, and involves repeated testing and evaluation. Photo 2: Photo shows sketch of prototype as well as budget calculations; Photos 1 and 3: Testing the capsules. Over the past decade, research across multiple disciplines has documented an ever-increasing trend of unhealthy eating habits and physical inactivity in American youth. One of the most prominent effects of this trend is the high rate of obesity in our children and adolescents. According to recent large-scale studies, children are developing poor eating habits earlier in life, as early as 12 months of age, and 10 percent of young American children between the ages 2 and 5 can be categorized as obese (Nestlé Nutrition, 2011). Experts have projected that this may lead to an alarming longer-term reality: that we might be the first to witness a generation of youth that is less healthy and has shorter life expectancies than their parents. Considering this concern and the fact that it is significantly easier to teach and establish good eating habits when children are young rather than try to correct poor eating habits later, it has become more important than ever to educate, model, and practice healthy eating habits for our children. Alongside the aforementioned trend in American youth, we at Saint David’s have witnessed a myriad of eating habits from our boys throughout the years, not always of the healthful variety. As a department, we came to the conclusion that a nutrition education component would be a valuable addition to our boys’ program of study. Through the school’s recent Curriculum Initiative, with its emphasis on increasing interdisciplinary learning, we thought that a great opportunity presented itself for an interdisciplinary unit on nutrition in conjunction with athletics. To introduce this initiative, we developed two nutrition education seminars in correspondence with Kathryn Trentacosti, a registered nutritionist and the vice president of our food service provider, Cater to You. These seminars were designed for our First Grade boys because this is the first year they are introduced to the fitness program, and for our Sixth Grade boys because this is the first year they are using their learned skills to compete against other school teams in different sports. The goal of the nutrition program is to educate our boys about developing healthful eating habits, and about how a good diet and proper hydration not only affect their performances on the playing fields and in the classroom, but also their overall health and well-being. For the First Grade seminar, our boys were treated to a special Friday with the coaches. We all took a bus to the 94th Street facility for a day of fun; even the classroom teachers attended! Here, the boys learned about the major food groups, making healthful food choices, and the importance of colorful foods and hydration. There was a group discussion accompanied by a slideshow that outlined the information, and there were enjoyable group activities that reinforced the content of the slideshow through exercise and movement. For a warm-up, Coach Williams began with a fast-moving activity that involved running and performing exercises based on fueling their bodies with healthful foods. 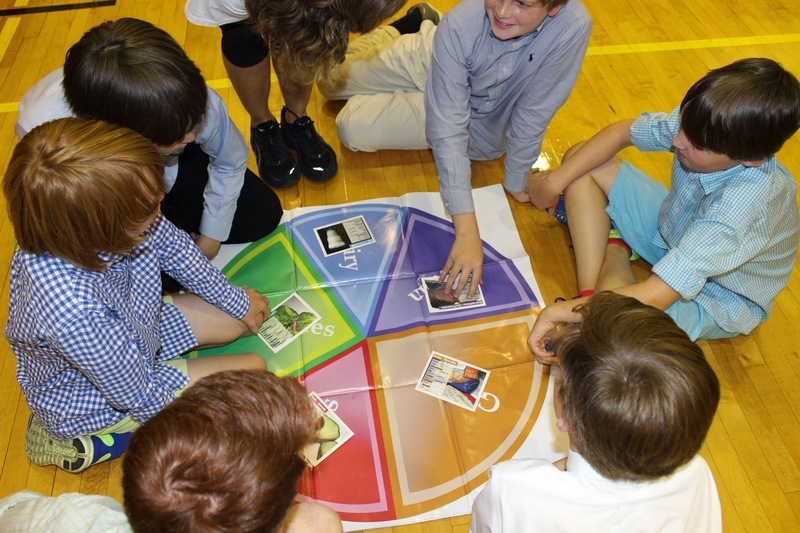 Next, the boys played a game called “Roll-n-Fit.” This game features a six-sided die showing different foods on each side: five healthful choices and one unhealthful choice. Each food is accompanied by an exercise to perform when the die is rolled. There is also a separate numbered die to indicate the number of exercises you must perform. To play, we split the boys into six groups. We also split the gym into six stations, with one die at each station. The station with the numbered die was the “rest/hydration” station; the other five were exercise stations. Each group started in one of the stations and rolled the die to perform the exercises. If the die landed on the junk food side, the group had to perform double the amount indicated on the numbered die. After each group finished their exercises, they rotated to the next station. This ensured that everyone had an opportunity for rest and hydration. Now that we had the boys in full nutrition mode, Kathryn Trentacosti presented the slideshow, giving the boys the opportunity to ask questions and view pictures and charts that reinforced the major themes of the seminar. Once the presentation was over, it was time to put the newly learned information into action through an activity “Food Tag Frenzy.” This was a relay race to see which group could build the most balanced, colorful meal using bean bags with pictures of different foods, and dinner plates showing the major food groups on which we were focusing. To finish the day, the boys were treated to a special lunch with Kathryn and the coaches. This lunch was arranged to involve all major food groups and encourage our boys to try each of the food choices on the menu. As a thank-you for their participation, each boy received a special surprise from the coaches to take home. 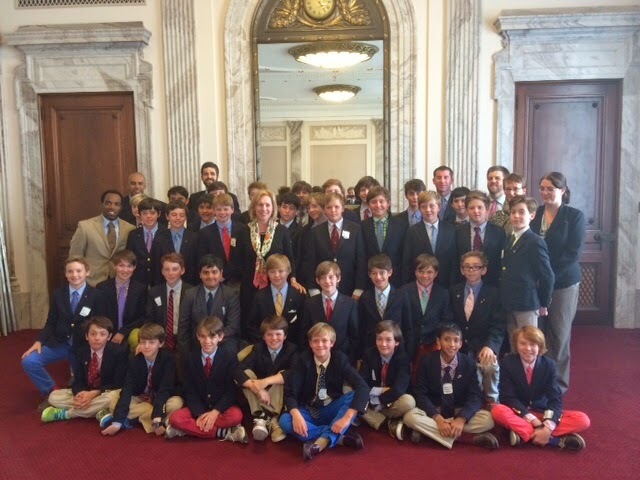 The Sixth Grade seminar was held on a Monday afternoon during the boys’ sports period. It was also held at the 94th Street gym and focused on portion size, reading nutrition labels, and how hydration and a healthful diet affect performance on and off the field. In addition to an interactive slideshow, the boys participated in a number of activities that focused on building healthful meals. They warmed up with the same “Roll-n-Fit” dice game the first graders played, focusing on good fuel vs. bad fuel rather than healthy vs. unhealthy food choices. The presentation, appropriately titled “Fuel Right, Feel Right,” was next. The boys discussed how to read nutrition fact labels with a major emphasis on the serving size. They were given examples from everyday items they could use to compare proper portion sizes. For example, the proper portion size for a bagel is a hockey puck, and for a cookie it is a Gatorade bottle top. Another focus was hydration. During this discussion, Kathryn spoke about the negative effects soda and energy drinks can have on your body, limiting the intake of sports drinks, and the benefits of drinking water. The boys were given the opportunity to ask questions and discuss the slideshow before heading back to the gym for another activity to finish the day. This activity consisted of building an entire meal using all the major food groups, and trying to maintain a low calorie count. 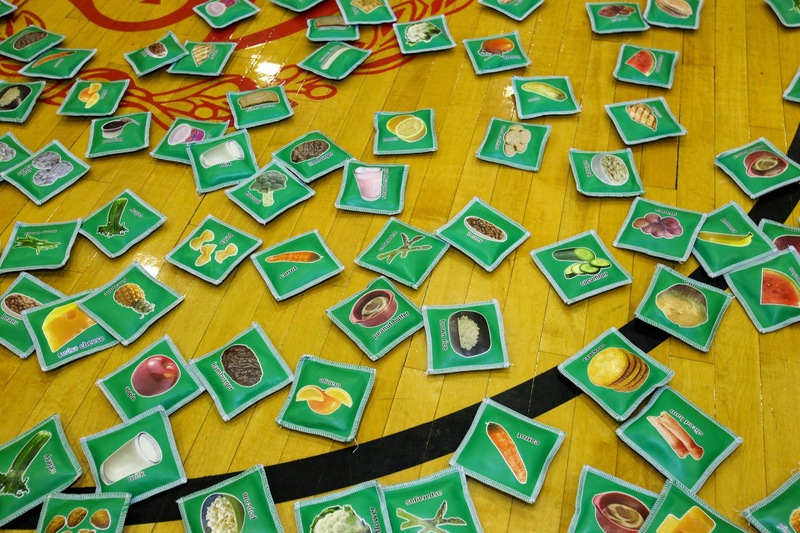 As an added bonus, it was a basketball-themed game so they were provided an opportunity to practice their layups while applying their learned nutrition material. At lunches, faculty are reinforcing the lessons learned during the seminars, as are all the coaches during athletics classes and at games. We have already seen signs of success! An immediate indicator was observing each and every one of our participating boys try all the foods offered at the end of the seminar, including sweet potatoes and broccoli. In the weeks and months following the seminars, we have also noticed that many of our boys have begun to change the ways they are thinking about and planning their meals and snacks throughout the day. Perhaps the most rewarding and promising sign of success is that we have received feedback from several participants’ parents and guardians stating that their boys have been reminding them to arrange “colorful plates” for meals at home, including items from all the major food groups. We anticipate that the continuation of our yearly nutrition seminar, as well as reinforcing learned nutrition material in our physical education classes, will be a “healthy” addition to the well-balanced education our boys are receiving at Saint David’s School. This week, alum Eric C. ’12, a sophomore at Trinity School, visited our fifth grade boys to speak about his participation in the Urban Barcode Project, an annual science competition for NYC high school students, run by the DNALC at Cold Spring Harbor. Eric and his partner, the youngest team, won second prize in the competition, an amazing achievement. The top 100 teams are invited to compete after submitting a comprehensive proposal to the Competition Committee. Eric explained to the fifth grade that he and his partner studied Bird’s Nest soup, an Asian delicacy. The soup, which is believed to have medicinal value, comes from Swiftlets, birds found in deep, dark caves in China that create their nests from woven and dried saliva. Extracting the nests from the caves is an expensive, risky endeavor, and the soup is quite costly. “Since the soup is so expensive, we wanted to know if the big brands selling it used real Bird’s Nest or if they were frauds,” explained Eric. He and his partner had hypothesized that they would find that the soup was fraudulent. Eric and his partner discovered that extracting the DNA from the Bird’s Nest was particularly difficult because of the possibility of decay and degeneration over time. Upon extracting DNA from samples, and performing their barcode analysis, they were surprised to discover that the samples did indeed contain aerodramus fuciphagus, the DNA from the Edible Cave Nest Swiflet. The fifth grade boys were riveted by Eric’s discussion of the scientific method; i.e. take an unanswered question, generate a hypothesis, and then test it rigorously. An extensive colloquy followed. Our fifth grade boys have been involved in an expansive study of DNA through our partnership with Cold Spring's DNALC since January. They have sampled and performed DNA barcoding on certain fruits and vegetables. The process involves the boys first isolating the DNA from the sample, then amplifying the DNA by replicating a specific gene sequence, and thirdly, the step of electrophoresis, where the boys verify the success of the PCR (Polymerase Chain Reaction); finally, the boys send the DNA to a facility in New Jersey that decodes the DNA sequence and returns the results to the boys. Shortly, as the culmination of this unit of study, each boy will gather samples and perform DNA barcoding using the aforementioned process on a substance of his choice. This will be the most exciting portion of their study and their chance to contribute to the wider scientific body of knowledge. Species or samples that have not yet been cataloged, will be authored by them. You can view reflections from participants in the Urban Barcode Project, including Eric, at this link: Urban Barcode Project. When I first heard the term Critical Analysis spoken by the Headmaster at the faculty’s opening meeting, I immediately tried to think about how it could be applied within the science lab. I realized then that the phrase could hold multiple definitions, each one as important as the others. My first thought was how I, a professional educator, could use critical analysis to improve the curriculum and so better meet the needs of my students. The second was how the students themselves could use critical analysis within the classroom to learn from their own actions and improve upon them—a valuable life skill. I was pleased to realize that I had utilized the concept of critical analysis when updating the science curriculum as part of the school-wide Curriculum Initiative. Having taught each grade of the Lower School for several years, I am extremely familiar with the developmental needs of students at each grade level. Teaching consecutive years allows me to stay focused, following my curriculum map, and differentiating my instruction to maximize student understanding. If the first graders do not properly learn the scientific method by the final unit of the year, it is difficult to begin teaching Second Grade science, as it relies on a familiarity with the steps taught in the previous year. Each unit of each grade is dependent on what the students learn earlier, constantly building upon each skill so that they enter the Upper School ready to think and act like scientists. Only through critical analysis of the curriculum can I be assured that each lesson flows logically to the next and that each unit properly prepares the boys for the ones that follow. Saint David’s alumni at Georgetown and George Washington University got together for a small regional reunion on Friday. The event was hosted by Bobby ’07 and Pierre ’07, who barbecued hamburgers and bratwursts for the whole group. The day was picture perfect, and featured lots of laughing and reminiscing. I’m told that our alums especially enjoyed Alumni Development Associate and former teacher Tom McLellan’s hand picked photos from the boys’ adventures in fifth grade. All had a wonderful time. We’ve been increasing our regional reunions, and the D.C. event follows last year’s in L.A. We look forward to more opportunities in the future to gather our alumni together. It is no surprise to learn that in order to attain mathematical fluency, we must develop our calculation and reasoning abilities. We practice our calculation skills in an effort to organize the world of numbers that exists all around us, and we build our reasoning ability so that we are better prepared to solve the variety of problems that we may confront. Though these skills are vital, there is a third and often overlooked element to mathematical fluency: the ability to use critical analysis to evaluate a method or argument. It is more difficult to teach and learn this, in no small part because as a skill it is less explicit by nature. There are two ways that we approach this year’s school-wide theme of critical analysis in math classes at Saint David’s. In the Sixth Grade, boys learn about proportion and scale by crafting a model of a street collection mailbox in miniature. The challenge lies in the requirements that the model mailbox be made from a single continuous sheet of paper and that it stand upright in the palm of the boy’s hand. Early in the process, boys find it important to sketch and share their ideas about how to do this. As they learn from each other’s approaches, they build their sense of the relationship between two-dimensional and three-dimensional space. There is another layer to this type of learning, though. The perspective gained from the process of sharing designs often causes a student to recognize a flaw in his own design. He may revise his design independently, or he may incorporate an idea from his classmate in response. This is an example of critical analysis in action among students. Students are evaluating each other and letting this lead them to generate their own ideas. At times, the teacher may intervene with an individual student to point out a potential stumbling point. More infrequently, the teacher may even suggest an alternative design element to a student who is struggling to generate an idea. Ideally, the teacher does not become involved as an evaluator until late in the game; the goal is to provide our students the opportunity to learn from and critique each other’s ideas. This process also opens the door to consider the social implications of critical analysis. Because there is more than one “answer” to the design question, disagreements inevitably arise about the best or most efficient way to design a model mailbox. A student who believes in the efficacy of his own design must realize that another student’s design, though different from his, is also valuable. This serves as a pathway for learning about respectful disagreement, and the idea that there is often more than one correct method and more than one correct answer. The balance we hope that the boy achieves is conviction in his own ideas but a willingness to change his mind after reflecting upon a reasonable argument. The ability to evaluate a mathematical argument is a focus of the Eighth Grade program as well. As they progress through their intensive study of algebra in the Seventh and Eighth Grades, boys solve problems with incrementally increasing levels of abstraction. In order to ensure accuracy, they find that it is essential to break apart a problem and analyze each step. A single step within a single algebra problem must be analyzed in several ways. For example, students must check that a step follows logically from the previous step, that it abides by the relevant mathematical principles, that it is accurately notated, and that it leads logically to next step. By the time they reach the Eighth Grade, this critical analysis of an algebra idea plays a larger role. At times boys are cued to identify specious reasoning in a multi-step math solution. At other times this cue is taken away and a flaw is hidden deep within an apparently airtight mathematical argument. The ability to identify hidden flaws can then be applied to a student’s own work and improve his own accuracy. I always tell my eighth graders not to let anyone “push them around” mathematically, including their math teacher! It is so valuable for each student to discover for himself if he believes that a particular mathematical argument holds water. He should consider the argument carefully, consult his prior knowledge of the subject, and consult (but not automatically adopt) the point of view of a trusted source before forming an opinion. The alternative to this process would be to believe an argument just because it sounds plausible on the surface. It is vital that our students be better evaluators of merit than that. 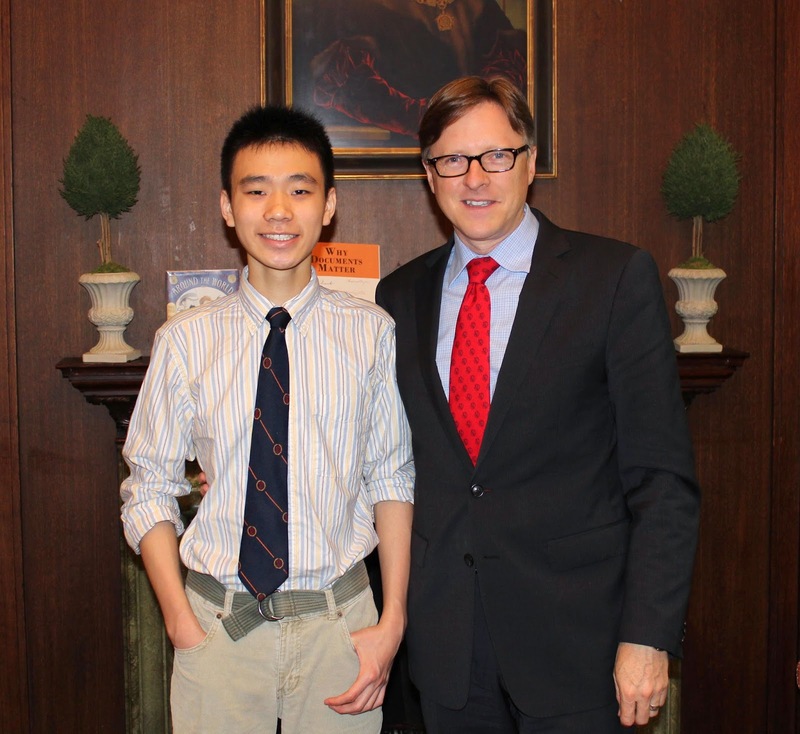 I had the pleasure of visiting alums Austen '10 and Justin '13 yesterday at Collegiate. Both boys are doing great. 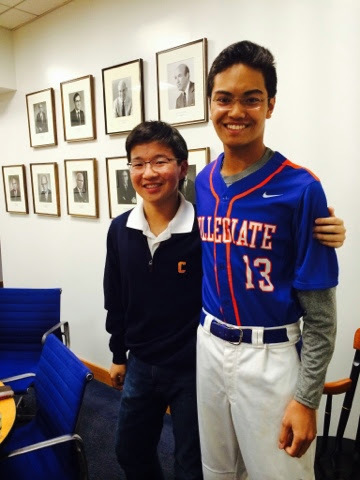 Austen will be attending Cornell in the fall and was off to his baseball game right after our meeting. Justin has settled into high school with the ease of a hand in a fully seasoned mitt. Our Omega boys are immersed in an interdisciplinary study of dinosaurs: an adventure that combines music, social studies, science, math and art. They have been reading books about dinosaurs and recording research. In science they are learning about the periods in which they lived, their diversity, and characteristics. 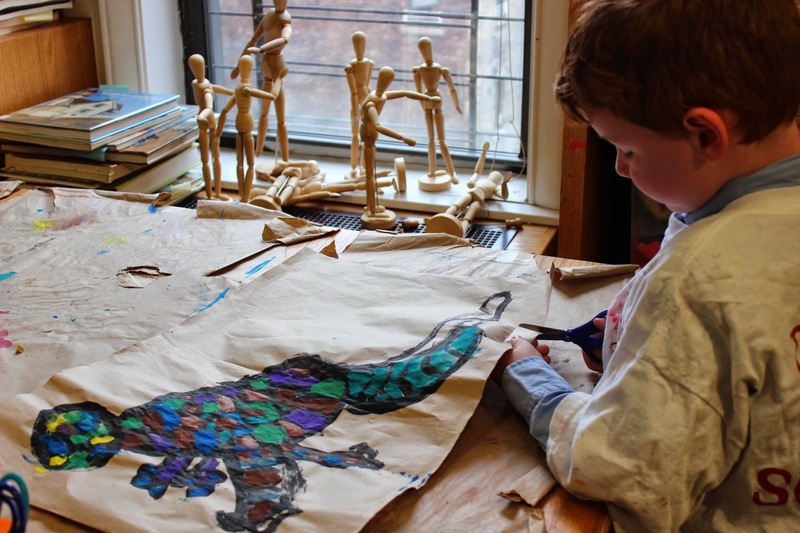 Soon the boys will go on a field trip to the American Museum of Natural History where they will act as paleontologists in a hands-on digging exhibit; they also plan to visit the Bronx Zoo’s dinosaur safari. Next month, they will perform the Dinosaur Show for their parents—a musical showcase of what they have learned. 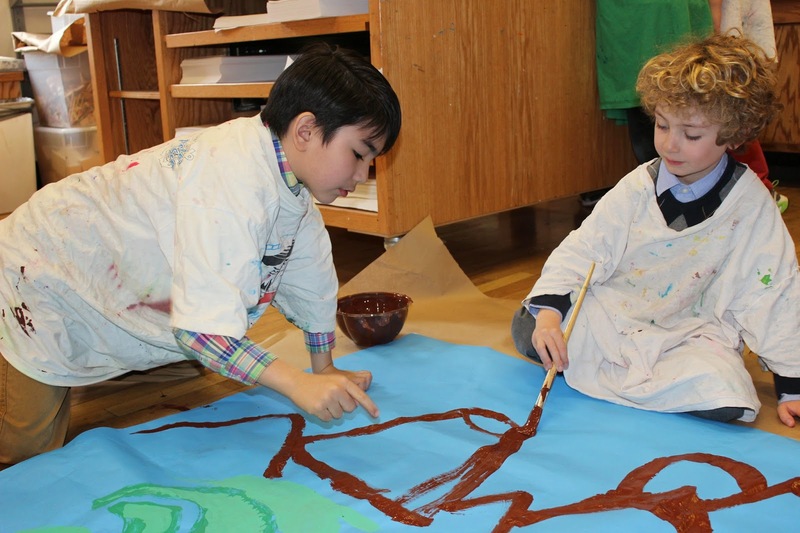 In preparation for their show, they are currently creating a Dinosaur Mural in art, featuring their own dinosaur creations against a habitat background. Work on a mural such as this encourages cooperative problem-solving. 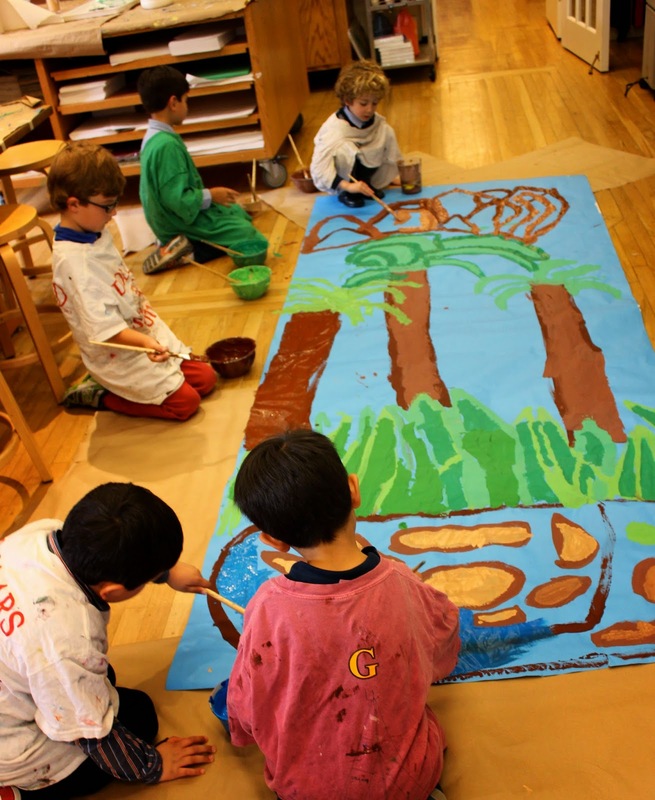 The boys say that it is “so exciting” to create the mural, and this is evident in their singular focus on their painting and animated exchange of ideas from “Let’s make this mountain a volcano” to “That color blue for the water looks great.” They are learning how to mix colors, sharply define edges, and use contrast, all while reinforcing their study about dinosaurs from class. In all disciplines, their teachers often ask “why” questions to prompt the boys to think more critically about what they are learning. Units like this are found throughout the curriculum at Saint David’s in all grades. They allow our boys to delve deeper into a topic and to gain more comprehensive understanding. 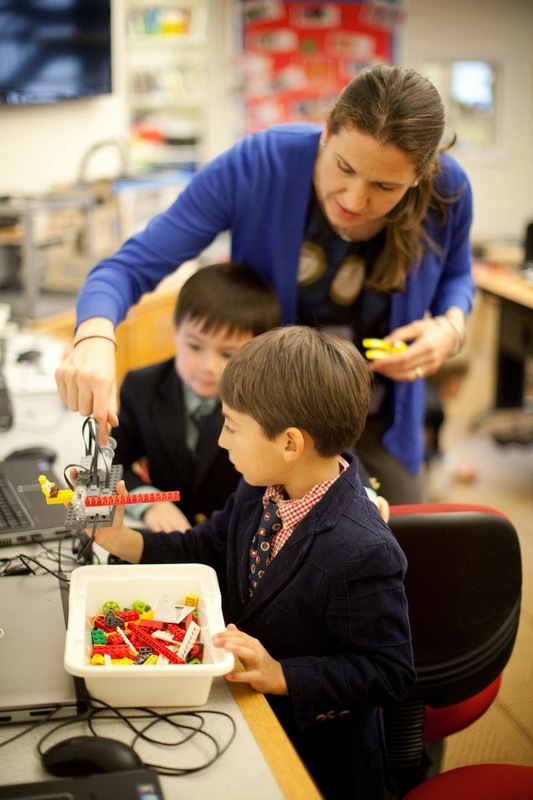 In the fall, first graders built and programmed interactive sculptures with Lego WeDo kits. Along with the traditional Lego building blocks and beloved mini-figures, these kits include gears, cams, wheels, axles, motors, and sensors. Boys began by building a simple propeller and learning how to connect Lego parts to laptops with wires. They used the graphical, block-based coding interface to create a program to control the motor. Within twenty minutes boys’ mouse clicks resulted in twirling, kinetic sculptures! In subsequent lessons, boys were invited to consider their own bodies as an analogy to help understand the process by which sensors capture a variety of data, send this input to a processor where it is quickly analyzed, resulting in outputs (primarily sounds and motions). Boys were quick to compare and contrast their sense organs with digital sensors; their brains to data processors, and their limbs and voices to the Lego motors and speakers. One class discussion led a boy to ask, “How many senses does a robot have?” What a profound question! What a rich topic for inquiry in an integrated STEM unit in the winter term! As boys worked in pairs on their projects, their understanding of how the mechanical pieces work together with the sensors, all controlled by the coding, developed in an iterative way. As with Bee Bots and with Scratch, there are multiple “ways in” for different types of learners, but all learn by doing. Some boys used trial and error to develop a tactile sense of how best to mesh gears and support a moving structure, while others preferred to refer to a pre-made blueprint to build complicated and very “polished” designs. Still others dove into the coding, experimenting with new permutations of commands, testing how their programs played out when executed by their Lego pieces, and revising their code. Each boy took a turn in the spotlight and presented his work-in-progress to the group, describing his goals for his project and his strategies for building and/or coding. Boys critically reflected on their own process in order to decide which nugget of their learning would be most valuable to share with classmates: whether a strategy for building, a coding discovery, or a game plan for successful collaboration. This year, our new Upper School Librarian, Gwen Kaplan, and the library team are expanding our digital collections, building out the library website, and extending the hours the library is open and available for students to work or browse for books. But how to spread the word? Ms. Kaplan turned to the Seventh Grade for help. The boys designed and 3D printed bookmarks on school equipment in order to keep students, faculty, and families in the know about new and exciting library developments. A successful bookmark design must function, first and foremost, as a device to hold one’s place in a book. Further, this one must communicate a targeted message. Boys began by interviewing Ms. Kaplan to learn more about her design problem: What message should the bookmark communicate? Then they used a website that is a clearinghouse for 3D printer-ready designs to search for bookmarks which they downloaded and printed. They analyzed the different shapes and structures that allowed each bookmark to hold a page without falling out or getting lost inside the book. Next, the students learned to use an online, 3D design app, and began to craft their bookmarks. Students’ first drafts demonstrated how challenging it can be to conceive of a design in three dimensions while creating it on the two-dimensional plane of a screen. Many first drafts featured a very flat rectangle covered in lots of barely raised type, which spelled out messages in a literal way. After some of these first drafts were printed, the class was asked if there were any benefit to using the 3D printer at all, and whether they would prefer to simply execute this project with a laser printer and card stock. This got their attention. The motivation to make best use of the exciting new 3D printing technology inspired the boys to think “outside the page” and to push themselves to take full advantage of the z-axis. Boys revised designs, and printed and analyzed prototypes. As designs diverged from the traditional flat rectangle, boys were faced with new puzzles: certain shapes that would make for successful bookmarks would be near-impossible for a 3D printer to execute as designed, because of its additive method of building up very thin layers of melted plastic from bottom to top. Boys rose to the occasion, analyzing designs to determine which parts would cause printing challenges. They came up with workarounds: revising designs, inverting designs, and splitting them into modular pieces that could be joined together once printed.